New hardwood floors from Macadam Floor and Design can set the stage for your new design project, whether you’re renovating the kitchen or upgrading your office space. Visit our design center in Portland and our experts will help you find the hardwood flooring that’s right for your home. New hardwood flooring adds a number of qualities to the look and feel of your home, from elegance to warmth. It looks just as good underfoot in the formal dining room as it does around the fireplace in the living room. The versatile nature of hardwood flooring also enables you to match it with almost any room design, so you can change up the style of your bedroom with new furniture and décor without worrying about it clashing with your hardwood floors. In addition to style, hardwood flooring also offers strength, durability and low-maintenance properties. Messes don’t stand a chance against hardwood flooring, plus they easily withstand the wear and tear of daily life, so you can enjoy your hardwood floors form Macadam for years to come. After you’ve chosen the hardwood flooring for your home, select a hardwood finish to enhance the wood’s natural beauty and highlight the overall design of your room. 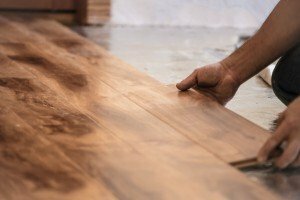 Choose our prefinished hardwood offered in a variety of different stain colors, or opt for our unfinished wood if you’re interested in a custom stain. 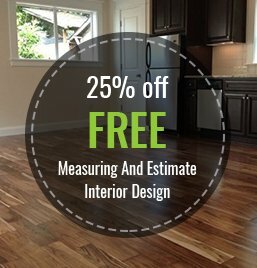 Call Macadam Flooring and Design at (503) 246-9800 or visit our design center if you’re looking to renovate your home with new hardwood flooring.